Manufactured in France from 1951 until 0. 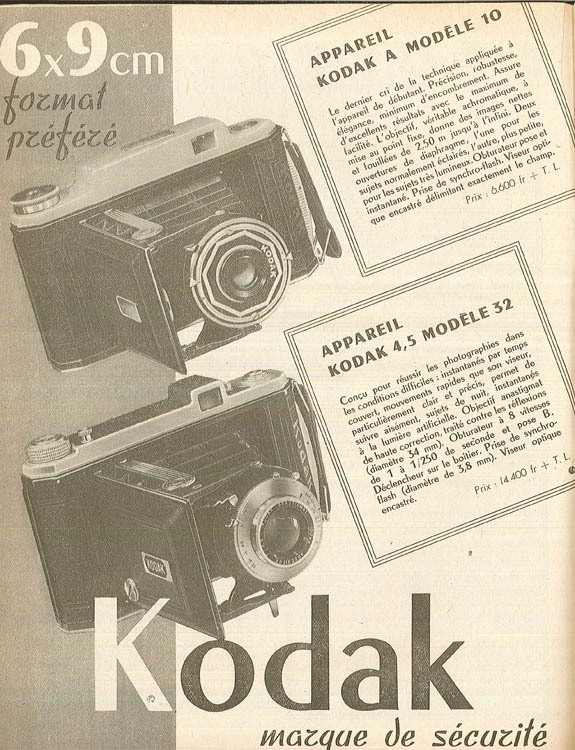 Model A is one of basic of Kodak 620 manufactured in France after the war (to know the reasons of this local construction, please read the page of model 36). 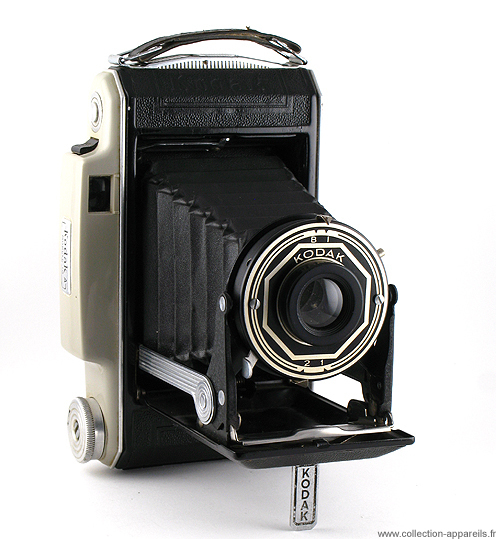 The achromatic lens is without focusing. There is no diaphragm, just a plate with two different diameters holes. 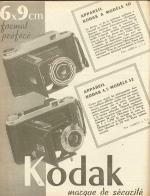 There is an Instant and a time exposure B. The decoration of the front face is rather scanty. The cap is made of gray plastic (right side) and the finder is tiny. The body is angular. 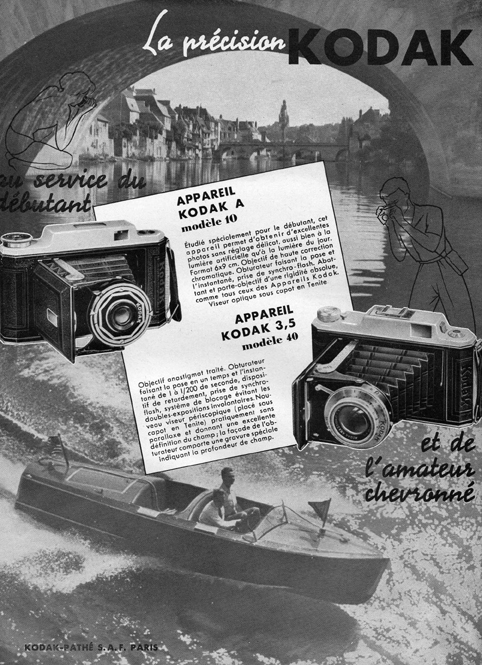 In 1952, this camera was sold 7175 francs by Photo-Plait.